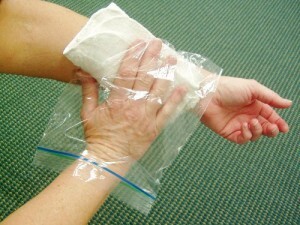 Part of my work requires First Aid certification and I recently attended a series of classes for certification renewal. In a previous article “First Aid / CPR – High Priority For Emergency Preparedness” I emphasized the need to become trained as a part of survival preparation. This article is about improvising when responding in a first aid scenario. It’s comforting to know that Emergency Medical Services (EMS) responders are equipped with proper professional tools and supplies. However, most of us are not equipped beyond a simple first aid kit for day-hike trips or car kits. These usually consist of sterile wipes, adhesive bandages, gauze and possibly a variety of ointments. These are all good supplies but are limited and don’t address the primary rule of first aid response “universal protection”. “Universal protection” is the approach by responders to employ appropriate barriers to possible transfer of infectious diseases when attending to persons requiring first aid. More folks are becoming aware of this need and have begun to carry disposable gloves as part of their kit. However if none are available, you can use other barriers such as sandwich bags, bread bags or shopping bags as gloves. There are other ways in which to improvise first aid supplies. Towels, new diapers, or absorptive feminine hygiene items can be used as a compress to suppress external bleeding wounds. Rolled up magazines or newspapers can be used to stabilize possible broken limbs. Bandanas can be used as slings and bindings for stabilization. 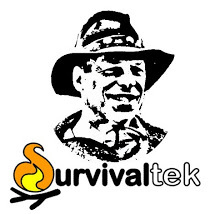 “Improvising” is a key element in survival whether for shelter, food, or navigation, but in the initial response to a first aid scenario it can make a huge difference in the victim’s chance for full recovery and in the extreme case for life or death. This entry was tagged Blood, Class, Classes, CPR, Emergency, First Aid, Injury, Training. Bookmark the permalink.